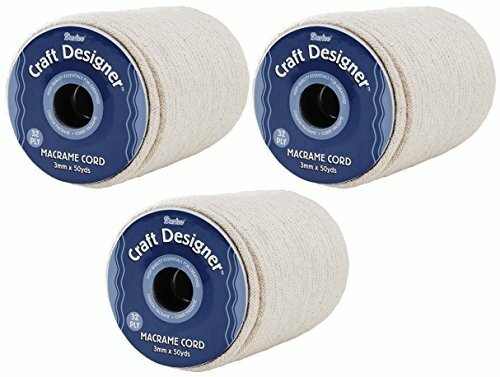 Darice natural cotton macrame cord is 32 ply. It measures 3 millimeters thick. There are 50 yards per package. 3-Pack for Better Value! - Three Spools, each is 50 yards.